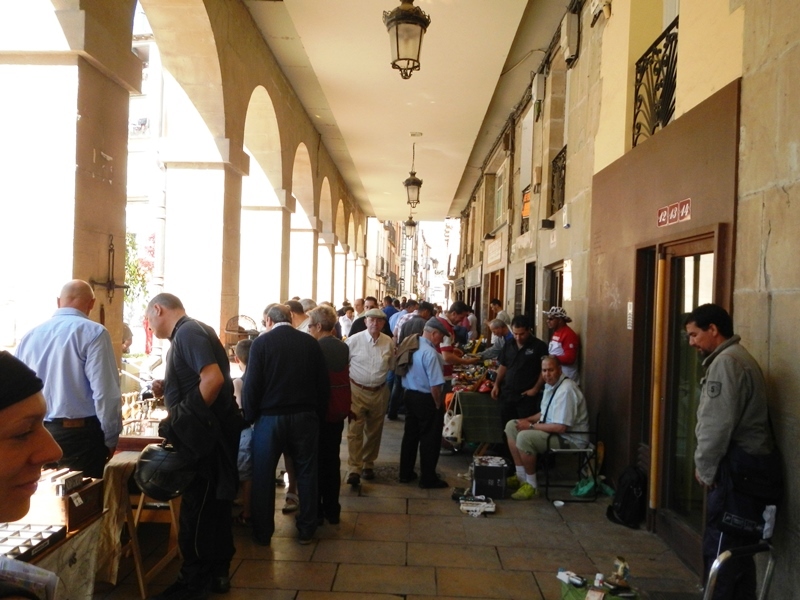 After the battle of wine in Haro, we decided to spend the afternoon cycling to our next destination, Logrono, 28 miles away. It was a fairly easy and uneventful ride, apart from an accidental but brief detour onto the motorway. Ooopsie. The campsite in Logrono was pretty basic to say the least, but there were a few redeeming features. 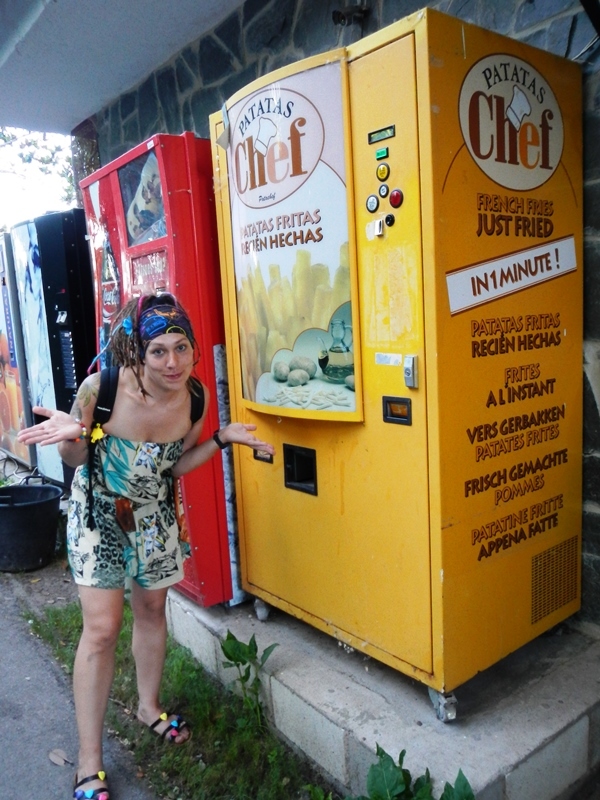 One of them was this pretty amusing chip vending machine, the likes of which I’ve never seen before and never wish to see again. 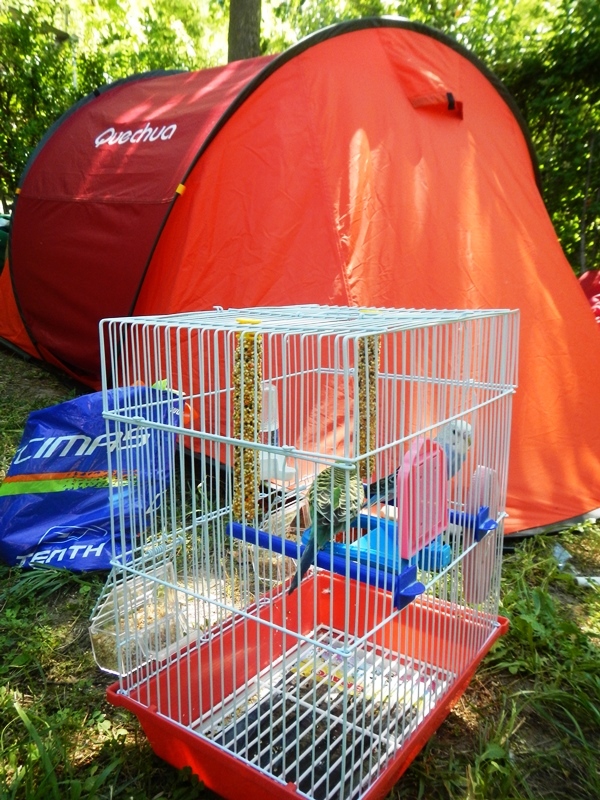 The other was our tent neighbour, a Spanish lady with a beard who had, for some inexplicable reason, brought her budgies camping with her. Nev even managed to save them from a vicious cat attack, not that the lady seemed particularly bothered about their welfare. After we told her a naughty cat had knocked the cage over and opened the window, birds chirping away, she just sort-of shrugged. Maybe something was lost in the translation. In the morning we had a quick wander about the town and, after a short spell of excitement about this ground rainbow (we didn’t find a leprechaun guarding a pot of gold at the end, sadly), we found a bar where we (by which I mean Nev) could watch the F1. As the only person expressing disappointment at Hamilton’s puncture, he was quickly identified as English, much to the amusement of the Spanish fans watching alongside us. We wandered a bit more and found a street antiques fair, which strangely included a stall selling Nazi memorabilia and a man selling only 4 items in total, all of which were carefully placed on a cushion on the floor: a broken mobile phone; a note of currency (possibly from a game, but it definitely wasn’t Monopoly); an old computer graphics card; and a broken plastic toy. 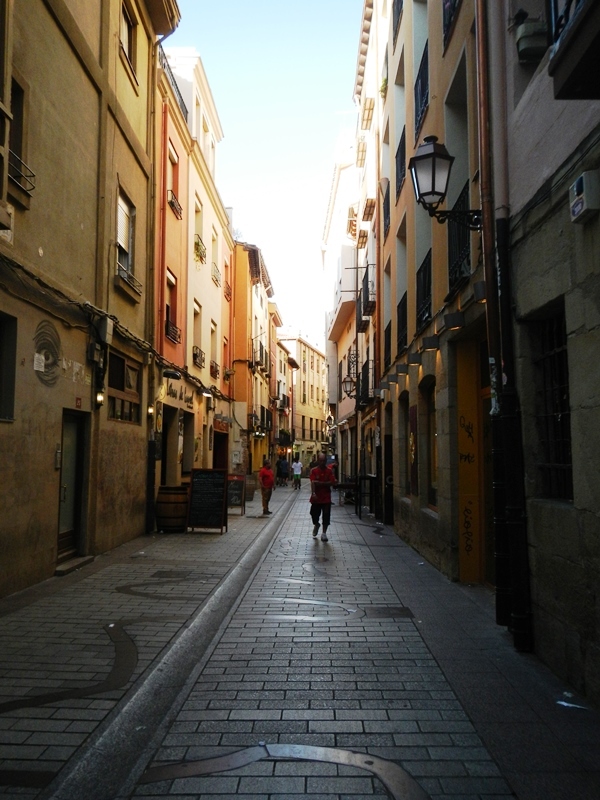 After that, there didn’t seem to be much else to do in Logrono other than eat tapas and drink wine, and I’d been excited about trying the tapas bar circuit on Calle Laurel, so that’s exactly what we did. 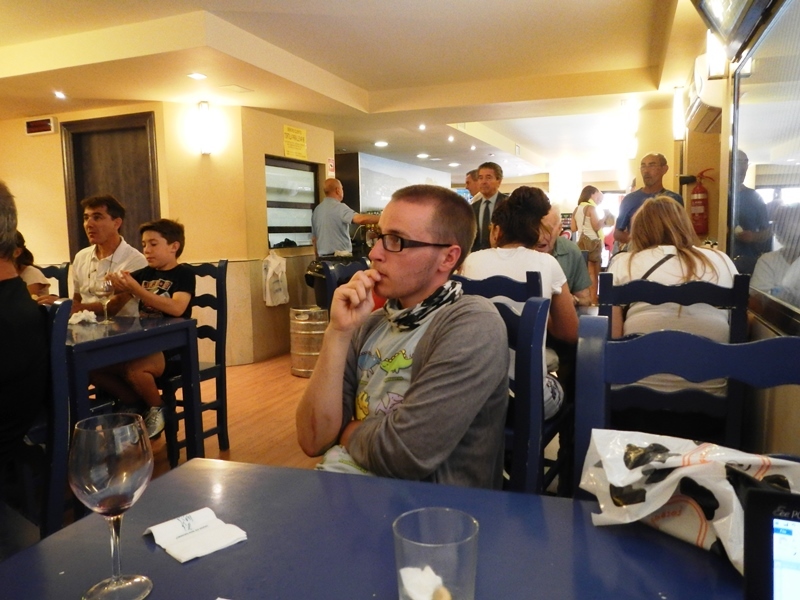 The lack of other people was our first clue that we still hadn’t quite got the hang of this tapas thing. It was about 7pm, which seemed like a pretty good time to eat to us, but a lot of the tapas bars were only just opening their doors, and didn’t start getting busy until past 8. 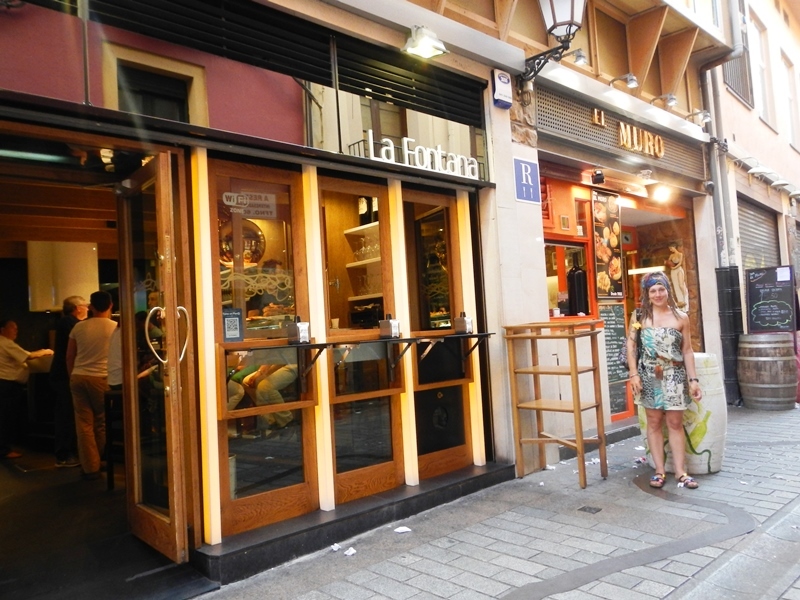 Despite our over-eagerness, we visited a few bars, trying the tasty, tasty tapas specialities at each one. Prices ranged from 1 Euro to 3.50 Euros, including a glass of wine. The only difficulty (obviously, apart from getting the timing right) is choosing from the hundreds of different bars. 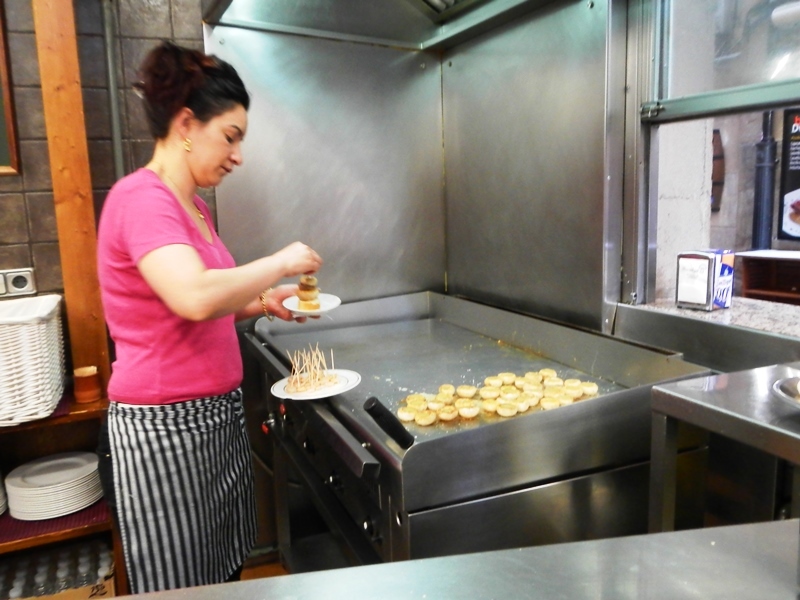 Most of them have windows onto the street, where you can order and watch the chefs cooking away. Everywhere smells AMAZING! 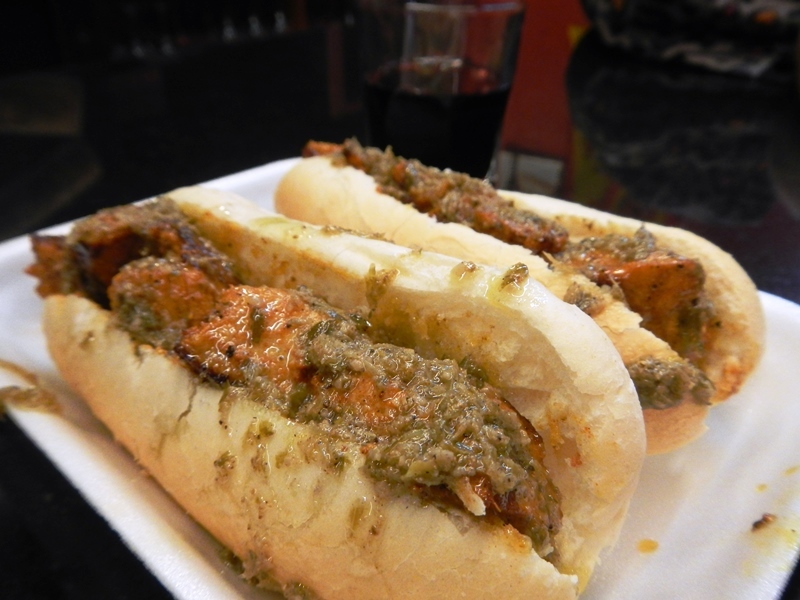 First, we chose Tio Agus, where we had what we think (but can’t be sure) was pork in bread with a super, super tasty green sweet salsa sauce, which they cooked to order behind the bar. 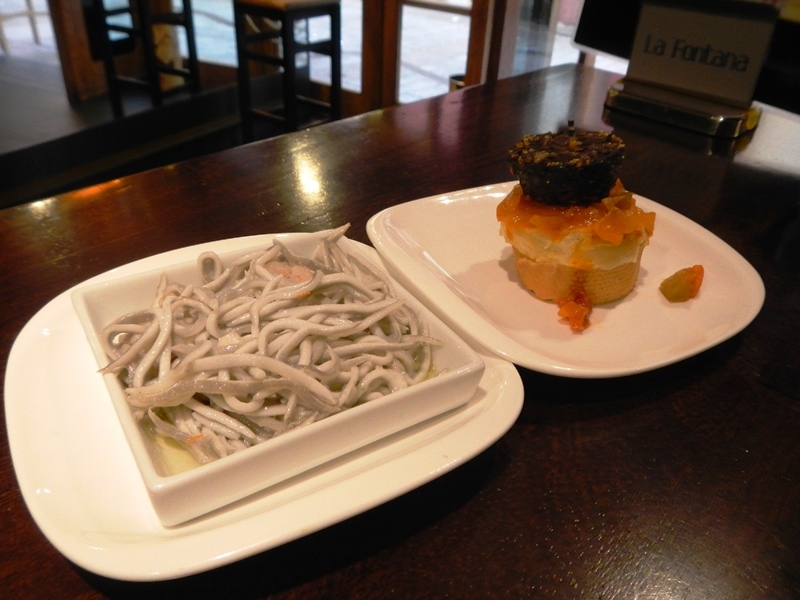 Next, onto La Fontana, where we had baby eels in garlic (slurp) and Riojan black pudding. Nom nom nom. Then, some lovely goats cheese on tostadas with strawberries and strawberry jam at El Muro, which was so yummy we forgot all about taking a photo and gobbled it up in about 3 seconds. After a confusing error trying to order water and tapas at another bar but instead getting two beers and no food, we moved on to the last bar we tried, which was my favourite: Bar Angel, where we had these lovely mushroom and prawn stacks on a slice of bread, dripping in garlic butter. Again, cooked to order behind the bar. Heaven. 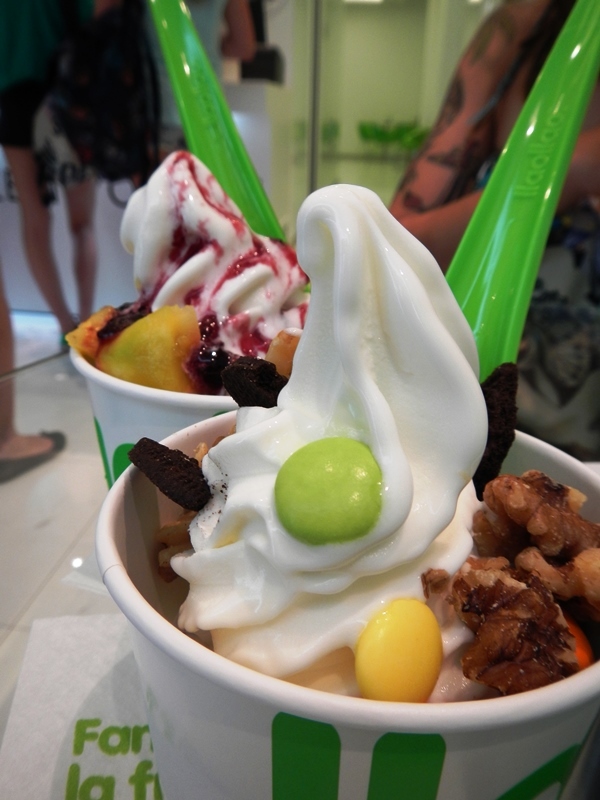 We ended the night with a bowl of frozen yogurt from one of the many frozen yogurt bars. Happy that the fruit and yogurt would clearly cancel out all the calories from the wine and tapas, we got an early night ready for what turned out to be a very long ride to Pamplona in the morning.